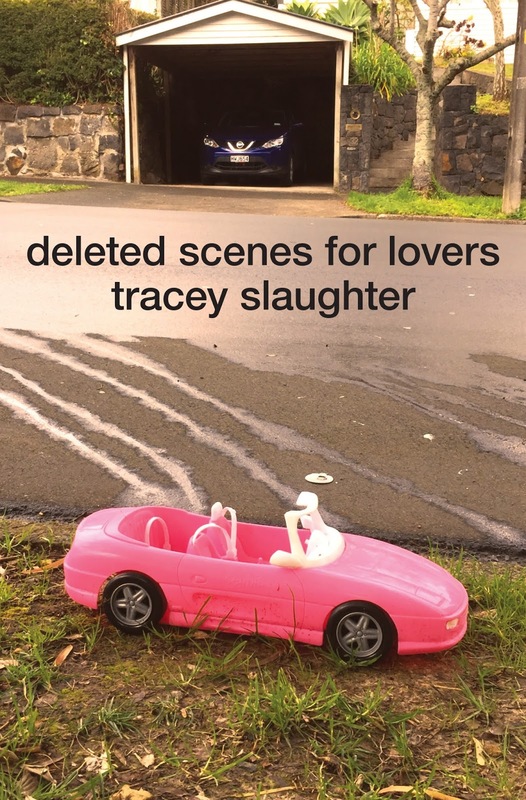 Tracey Slaughter's Deleted Scenes for Lovers is already gathering rave reviews at The Spinoff, 'note-perfect, plentiful', and in NZ Listener, 'self-assured, forceful'. Deleted Scenes for Lovers will be launched at Art Fusion Gallery, Waikato University on Thursday 26 May, 5.30pm. Tracey, you’ve been publishing short fiction and winning prizes for many years – but you're only just publishing your book of short stories now – what took so long? ‘Tell me what ever happened to Tracey’? That’s the archetypal tough question. There’s the obvious struggle to reach book-length form in a market which dislikes the intense fix of short fiction, which craves the chunkier comforts of the novel. But the real answer is: I lost some years. In between writing these short stories life was teaching me how to live through long ones – a slow recovery from illness, a car crash, further damage, a harder walk back to health. What that meant was that every story I did manage to finish was oxygen – and when my work did win prizes it was a lifeline, adrenaline, hope. I don’t like looking back on the years I missed, when there should have been more output – but I was forced to spend time turning more human…which has got to help any writer in the long run. The style that you’ve developed through these stories is very lyrical, sensual – sense-based. I think that your prize-winning Landfall essay last year, ‘Ashdown Place’ is an excellent example of how you explore experience and bring the past back through sensory detail. Can you talk about how you’ve developed this style? Many of your characters are what we sometimes call ‘bogans’ in this country. Where do they come from? Was I born in a black tee? I guess I grew up in coastal, smalltown New Zealand with its blend of bogan and surfie culture; my first jobs were in takeaways, service stations and pubs watching that waxhead/petrolhead world go by; I play in a covers band now which works the smalltown circuit (sometimes even the same old pubs! ), so I still get to see the stories of that world spinning out, hear its voices. But the term bogan brings with it the taint of stereotype, a beer-chugging Holden-revving comedy which limits responses – it’s too easy to cartoon a group, stamp them ‘bogans’ and write their stories off. I think it’s the writer’s job to see past labels and hunt the pulse of the human story dwelling beneath, whatever social group a character might seem to fall into. I don’t set out to write self-consciously ‘bogan’ stories – it just happens that the drama of lower decile life often stands out in the sharpest relief to me, and I never turn those stories away because they’re not decent, representative or seemly. Short stories also, have always been a home for the ‘lonely voice’ – it’s a form with its roots in the underbelly, haunted by outsiders. As a writer you don’t chase the poor from your doorstep, I remember Flannery O’Connor saying, because the poor have nothing left to shield them from raw life – and that’s what should interest any compassionate writer. Your stories often deal with sensitive topics such as domestic violence or sexual abuse; ones that we often struggle to talk about. What’s your approach towards the ethics and angles of writing trauma? Does anyone still agree with Brasch that Frame’s ‘Gorse is not People’ was ‘too painful to print’? 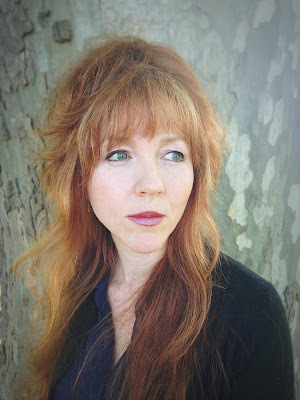 A writer’s job is to say the unsayable – it’s a travesty to call yourself a writer and then refuse to face the full range of human experience. Outcries that subjects are too dark, extreme, personal, risky make zero sense to me – those hard realities of life are what writing is for. And every writer knows their own ‘black block,’ that dark mass under your chest wall that holds your deep material, the stories you must speak of. If you don’t listen to that, your stories might stay clean, but the page will, in effect, be empty. Deleted Scenes for Lovers is available in good bookshops and through our online bookstore now.